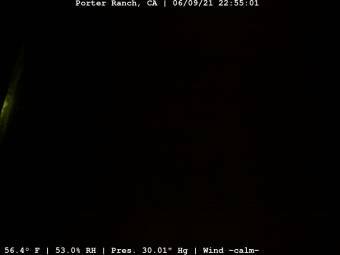 Webcam Porter Ranch, California: Weathercam - A live view from Porter Ranch, California, with current weather data. Canoga Park, California: Canoga Park High School, 7.7 mi. Valencia, California: College of the Canyons, 8.2 mi. Saugus, California: Valencia-Santa Clarita View, 12 mi. Burbank, California: Bob Hope Airport (BUR), 12.6 mi. La Crescenta-Montrose, California: View over La Crescenta-Montrose, 15.7 mi. Topanga Beach, California: Live Surf Camera, 17.6 mi. La Crescenta, California: San Gabriel Mountains, 17.8 mi. Santa Monica, California: Santa Monica Beach, 19.6 mi. 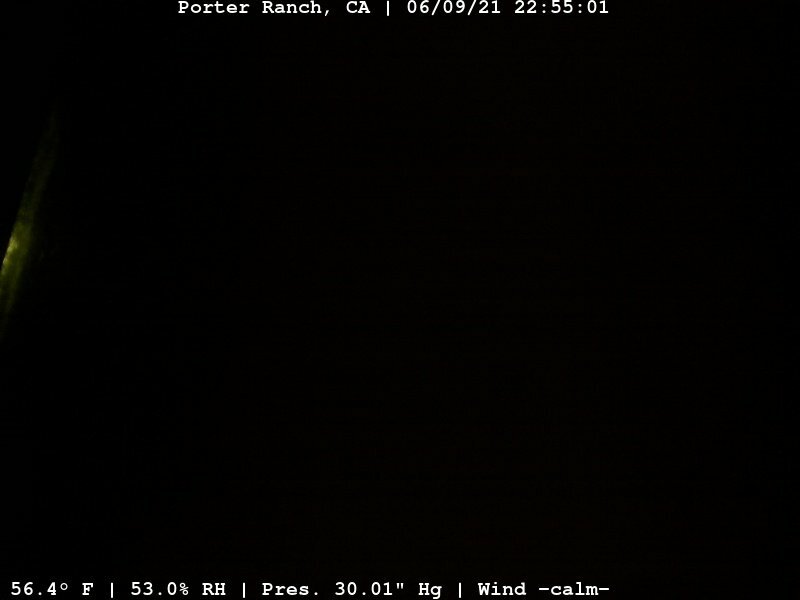 This webcam Porter Ranch, California with the theme Weather was added on February 21, 2011 and is operated by PorterRanch1@WeatherUnderground. It got 983 visitors since then. Shouldn't this webcam work or should the link be wrong please report that here. You can add this webcam here to myCams.